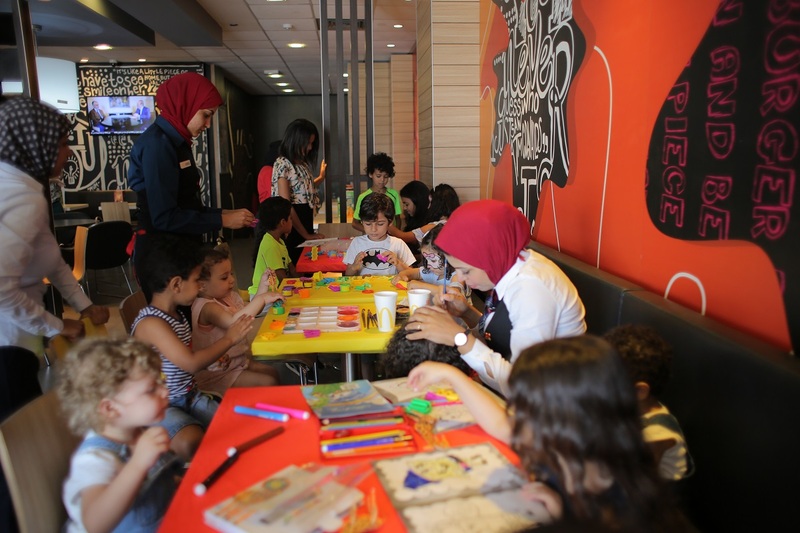 McDonald’s Egypt Pleasantly Surprises Us! We all have our cravings, and almost every one of us have craved a quick burger hug along with hot fries! When we speak of an international chain that serves delicious comfort food in the blink of an eye, a name that has to pop to mind is McDonald’s. Since we strive to bring you detailed restaurant reviews, we decided to accept McDonald’s invitation to visit their kitchen and check out how they do things. Gehan El Goly, McDonald’s PR and Communication Manager, welcomed us to the McDonald’s Concord branch. Gehan started out by explaining McDonald’s keenness to guarantee transparency with all its clients; this is exactly where their “Your Right to Know” strategy is derived from. It gives customers a great opportunity of actually seeing what they eat to be able to make the best choices. McDonald’s basically showed us the heavy restrictions they have when it comes to allowing personnel into their kitchen. After safety and cleanliness precautions, we were led to the kitchen, and we saw first-hand how firm they are about hygiene. Indeed, the employees are prompted to keep everything clean and safe. The hot oil is constantly replaced and they heavily rely on fresh ingredients, but how do they keep such a tight ship? Well, they have alarms for their employees; the alarms effectively remind employees to keep their personal hygiene levels, as well as those of the kitchen, up to standards. But what about the ingredients? Well, they’re kept in their designated storage areas, at just the right temperature, with a firm grip kept on the expiration date. This means that all meats, vegetables, and other ingredients are sure to be fresh; nothing old is allowed to be served around here. Of course, we’re not just going to skip on how the Big Tasty sauce makes us see rainbows. That thought surely prompted us to ask about the recipe, but unfortunately, they weren’t very welcoming to reveal any secrets about their delish recipes. Even their cola drinks are made in-house; this explains why they taste much better than store-bought cola.